Public relation - giving permanent information to the guest with a big smile and friendly contact. Daily animation program consist of different sports and activities, performed in the morning (10.00-13.00) and in the afternoon (15.00-18.00) for adults and juniors according to the daily program, like gymnastic, aerobic, stretching, water gymnastic, beach volleyball, water polo, football, French bowls, aperitif games, tournaments, beach games, Olympic games, competitions. Momko Entertanment providing agency animators are professional, flexible, and polite. Qualificated kid's animators invite the children to take part in lots of funny games and activities in the morning (10.00-12.30) and afternoon (15.00-17.30). 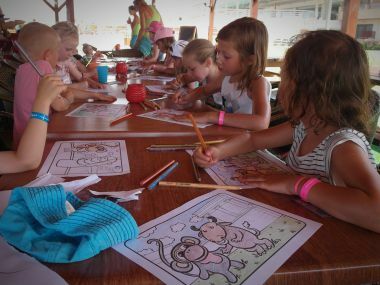 The mini-club activities are drawing competition, t-shirt painting, treasure hunt, sand castle, face painting, mini football, banana boat, hotel relay, mini Olympic Games. Every evening before the main show stars animators organize face painting and mini-disco with more than 10 difference kids' songs, and twice a week talent show or mini playback show. 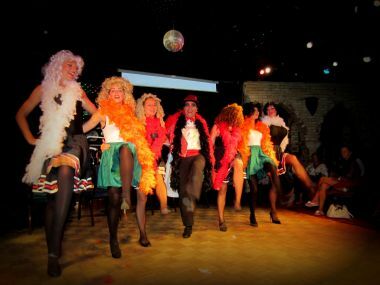 The main shows are performed in different languages (English, German..) with modern sound and lighting system, decoration, lots of colorful costumes and make-up, like cabaret shows, variety of the musicals, comedy shows, playback shows, karaoke, beach parties, fire shows, magician shows. After every evening show all the guests are invited for the hotel dance party that consists of different kind of music (70', 80', and new famous hits).